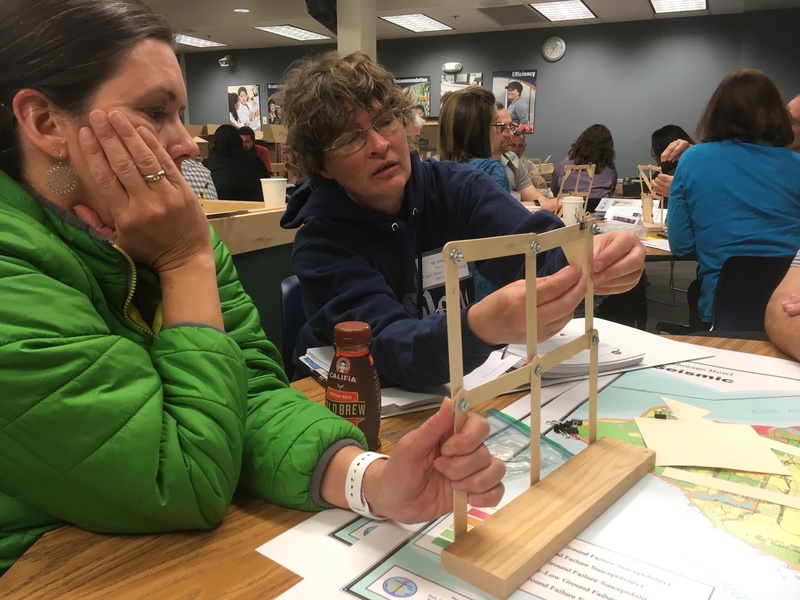 Participants in the 2018 ANGLE Educator Workshop investigate methods for building more earthquake-resilient buildings. 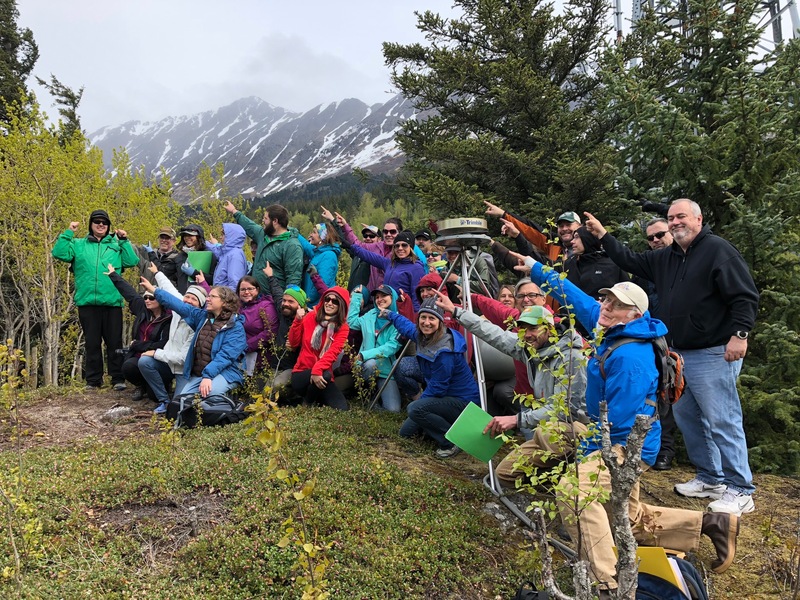 2018 ANGLE Educator Workshop group visits the Bird Point GPS station near Girdwood AK. 8:00-5:00 Bus departs from the ASD Education Center at 8:00am! Stops: Sunset Park, Bird Point, Whittier, and Girdwood. Field trop guide and boxed lunch will be provided on the bus. 3:45 Action Teams work on community educational project on earthquake, tsunami and volcano preparedness. Project plan will be presented on Day 4 of the workshop, and the results of the implementation will be presented at the Share-a-thon on Feb 2, 2019, in Anchorage. 11:15 Action Teams: Final preparations for presentations and discussion about the task, schedule, and logistics for each Action Team to develop their Share-a-Thon products. 1:00 Action Teams: Final preparations for presentations continued. 2:00 Action Teams: Present their ideas for development of Community Educational Programs on geohazard science and preparedness. 15 minutes total per group (10 minutes presentation; 5 minutes discussion). Groups are encouraged to model how they will present specific concepts in different educational settings. 4:00 Post-Workshop Assessment Focus Groups and Survey (Michael Coe, Beth Pratt-Sitaula). The activities found in the workshop binder are all available in the Educational Materials section of the website and cross referenced from the presentation links above as well. We list the activities again here in order of appearance in the binder in case that is helpful. "We Need All the Assistance You Have..."
We encourage the reuse and dissemination of the material on this site for noncommercial purposes as long as attribution to the original material on the EarthScope ANGLE site is retained.